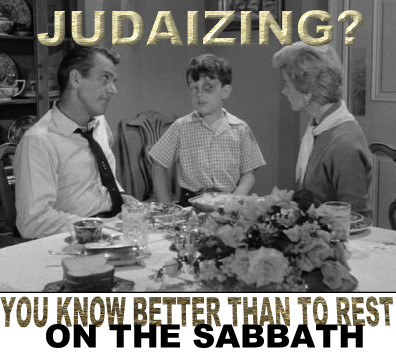 "Judaizers" were, and are, those who specifically observe the Sabbath as the day of rest from work. This rest is emphasized at Hebrews 4, associated with imitating Yahuah, Who also rested from His work on the 7th day of the week, which He established as the sign of the Eternal Covenant (Ez 20:12, Ex 31:13, YashaYahu 56:2-7). 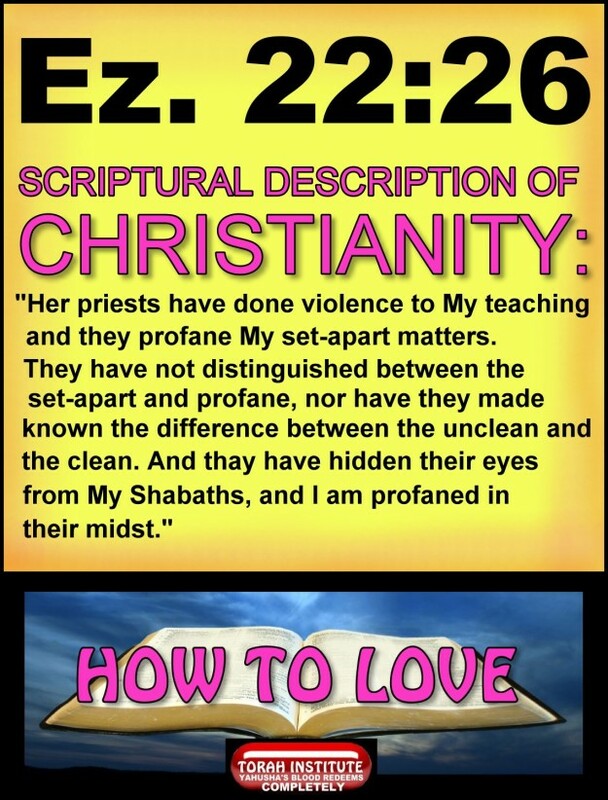 "Christians should not Judaize and should not be idle on the Sabbath, but should work on that day; they should, however, particularly reverence the Lord’s day and, if possible, not work on it, because they were Christians." Notice this bull (appropriately named as a man-made commandment) has acknowledged the Sabbath and states that Christians "should work on that day." Act 5:29: "And Kefa and the other emissaries answering, said, 'We have to obey Alahim rather than men.'" We all know that Paul (formerly Shaul) told us that prior to the coming of Mashiak Yahusha and our gathering together to Him there would be a “falling away” first, and the “man of lawlessness” would be revealed, or "uncovered." This man of lawlessness with his goal of resisting Torah will be exposed for being the "restrainer" that keeps the people from obeying. Paul referred to the coming of Yahusha as “the day of Yahuah” (2 Thess. 2:1-17). 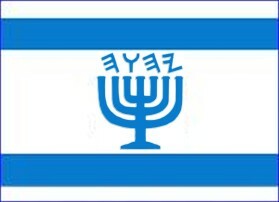 The “falling away” implies a movement AWAY from the Commandments of Yahuah, also known as the “apostasy”. Lawlessness will be promoted prior to the “day of Yahuah.” It could also be a "falling away" or "standing away" from the lawless religious establishment by those who are being restored to the Covenant in the last day. The “day of Yahuah” will only end the “times of the Gentiles”, and it will establish a government (kingdom) on this Earth that will grow and fill it completely, never to end. It will be ruled by the coming King, Yahusha of Natsarith, seated on the restored throne of Da’ud. Fear Alahim and keep His Commandments, for this is the whole [duty] of man. If we seek righteousness the only place to turn is the Torah, the Commandments of Yahuah. The Commandments aren't exclusive to the "Jews" in fact "Jews" are no longer Israelites if they do not keep the Commandments - they are CUT OFF from Israel if they don't obey the Torah. 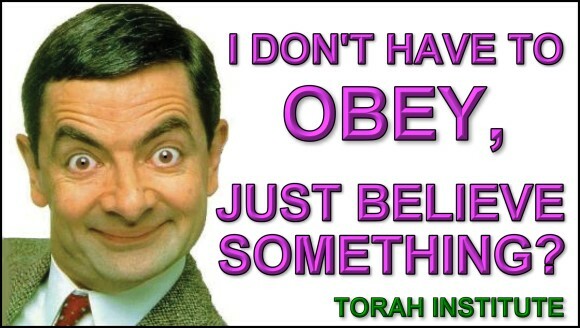 Likewise, those who don't obey the Torah are not Israel. The Torah is central to defining who an Israelite is, and the Mediator of the Covenant is Yahusha, writing Torah on our hearts (YirmeYahu 31, Heb. 8). The engrafted foreigners partake of all the promises, and have eternal life, and are no longer foreigners. Turning themselves around, or “repenting” of sinning against the Covenant, their hearts have changed, and their will is to serve and obey Yahuah (read Is. 56). Those who have not received a LOVE for the Commandments, but rather repel them and teach others to repel them, have received a strong delusion to believe in the lie. Those that have accepted Yahusha’s death as atonement, and entered the Covenant through the waters of immersion have been “circumcised” with a love of the Covenant, the Ten Commandments - by the Messiah, Yahusha! Men have twisted many things. They lack Wisdom, Understanding, and Knowledge, which is what the Ten Commandments would give them. Here is an example of apostasy: During the 4th century, the Roman Emperor Constantine I “decreed” the Edict of Constantine (321 CE), causing every citizen to REST on the Pagan’s day of worship, the “Day of the Sun,” now called “Sun Day.” They were sun worshippers, and this edict was enforced under penalty of death. Just a few years later, at the “Council of Nicea” (325 CE), he and his son Crispus set up the “Universal” (Catholic) date to observe for “Easter,” a fertility rite of the Earth Mother, Ishtar. He had called Natsarim** elders to this “Council”, and many of them fled for their lives. "For Mosheh of old time has in every city them that preach him, being read in the synagogue every Sabbath day." This was speaking of Mosheh in the sense of the TORAH, and can generally apply to the first 5 books; but TORAH is also what Yahuah calls His TEN Commands. But, note well that Ya'aqob (James) referred to that "dreaded" word, SABBATH in his statement. Whoa - perhaps even YaAqob would be considered one of those "Judaizers" by today's Christians for talking about the Sabbath the way he did. "But when I saw that they walked not uprightly according to the truth of the gospel, I said to Peter before them all, If you, being a Jew, live after the manner of Gentiles, and not as the Jews, why do you compel the Gentiles to live as the Jews?" (Some translations use the word "Judaize" in this passage, however the word "Judaize" was not invented until the 16th century). In Paul's time, many adult Gentile converts (those called to obey the Ten Commandments) were being compelled to be physically circumcised, when all they had to do was be immersed into the Name of Yahusha! He circumcises our HEARTS with His Covenant, the Ten Commandments, and our immersion in water is the outward sign of our circumcision of the heart- by Mashiak Yahusha. Although there are still some who teach adult male circumcision, this has thankfully been exposed by Scripture to be wrong. Today, a "Judaizer" is what you may be called if you want to keep the Ten Commandments. The Catholics are told that when Yahusha referred to the “keys” of His kingdom/government, that it was conferred on Kepha/Peter alone to personally decide what could be bound or loosed. This is far from the intention of Yahusha! He wasn’t giving Kepha the keys to His sports car. Yahusha remains "Master of the Sabbath", not Kepha, or any "successor" we may believe to exist. What He intended for us to realize is that when we have ALL learned and practiced the Ten Commandments, we will understand them and love them with His enabling Spirit (He circumcises our hearts with a love for them, which is the re-newed Covenant prophesied at YirmeYahu*** 31). Knowing them, we can “bind” (forbid) and “loose” (permit) behavior, knowing wrong and right. The Ten Commandments are the “eternal Covenant”, and the character of Yahuah. These "Ten Words" are known as Torah in Hebrew, meaning “teaching”. If we are called “Judaizers”, then we are being accused of obeying the Torah of Yahuah, particularly His Sabbath of rest. The modern term for us is “legalists”. We obey because we love Him. If we were really “illegalists”, then we would have the wrath of Yahuah abiding on our heads. Without the Ten Words, we would not be able to determine what a sin is! We now have two “camps” of believers. Those who “believe only” but don’t obey the Torah promote the idea that living by the same Torah Yahusha does is now “toxic faith”, yet Yahuah clearly commanded that we not add or take away from His Commandments (Dt. 4:2, 12:32). Also, Christianity added “sacraments” to their walk, and have splintered into factions who do not call on the Name of Yahuah for salvation. They practice Christmas, Easter, and Sun-day, all previously observed by Gentile idolaters, but now camouflaged in new meanings. Wouldn’t that be just great? Question: What is the primary reason the denominations don't have fellowship with one another? Answer: They do not observe the Ten Commandments. Most have been taught that to obey them is to attempt to trust in them for salvation; but this is a lie. We obey them BECAUSE we are saved, and because Yahusha has written them on our hearts. If we don't have fellowship with one another, then we aren’t “tuned” correctly. 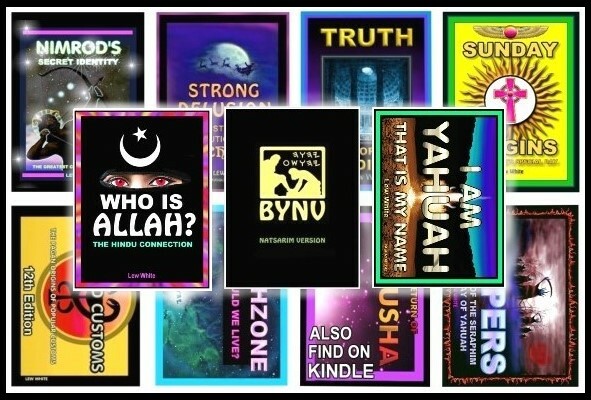 When everyone allows Yahuah’s Covenant to be written on their hearts by Yahusha, and they receive a love for the Truth, then we can have fellowship with Him, and with one another. Get yourself in tune by studying and memorizing the 10 Commandments. "I have hidden your Word in my heart that I might not sin against you . Praise be to you, Yahuah; teach me your decrees. MattithYahu 24:20 (This statement was made concerning the conditions in the end of days!). “And by this we know that we have come to know Him, if we keep His Commandments. The one who says, ‘I have come to know Him,’ and does not keep His Commandments, is a liar, and the Truth is not in him; but whoever keeps His Word, in him the love of Alahim has truly been perfected. By this we know that we are in Him: the one who says he abides in Him ought himself to walk in the same manner as He walked." As we learn to walk as Yahusha walked, we often encounter many conflicts between what He did, and what men say to do. Through reading Scripture, our hearts are filled with its pure new wine, which purges out the old wine (men's teachings). Take in a deep breath and re-read the ninth word in this "bull." The "Lord's Day" literally describes "Baal's Day", since BAAL is the Hebrew word for "LORD". The bull orders WORK to be done on the Sabbath, so obviously what we have here is rebellion. I would rather rebel against man's commandments than rebel against the eternal Commandments that define sin given by our Redeemer, Yahuah, Who became flesh and walked among us to show us how to walk. The first woman only needed a good excuse to be deceived, and that seems to be the approach for this and all other strongholds.